Cool Davis welcomes new partner Solar Roof Dynamics! When Aaron Nitzkin founded Solar Roof Dynamics (SRD), his goal was to transform the roofing industry by enabling roofing contractors to integrate solar into their business operations, and he is doing it. In a few short years, SRD has become the market leader in providing solar training and products to the roofing industry. After working for a couple for large roofing and solar companies including PetersenDean and Dow Chemical Company, he realized that if homeowners across the country were to embrace the use of solar power, roofing companies were in a great position to become involved, to spread the word and to become competitive. 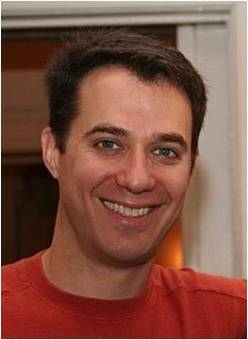 Aaron helps simplify the solar industry for roofing companies and provides technical training. Homeowners benefit because using one company for both roofing and solar power inherently offers them the protection and cost savings of an integrated system, installed by experts in their trade. Homeowners benefit from the protection and cost savings of an integrated system installed by experts in their trade. SRD works to fulfill a “triple bottom line.” The company empowers business owners to become competitive solar contractors and thereby grow their companies and increase their earnings. SRD protects consumers and saves them money, by allowing them to go solar at an optimal time and avoid costly mistakes that may develop when roof and solar systems lack integration or have installation errors (which happen in up to one in five installations industry-wide). And finally, the Earth benefits, too. The more customers go solar, the more our children and their children benefit from energy saved and carbon emissions reduced. Solar Roof Dynamics may be contacted at Info@SolarRoofDynamics.com, by calling 530.564.7054, or visiting their website. 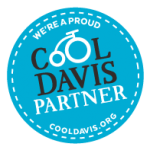 Check out How to Become a Cool Davis Partner.